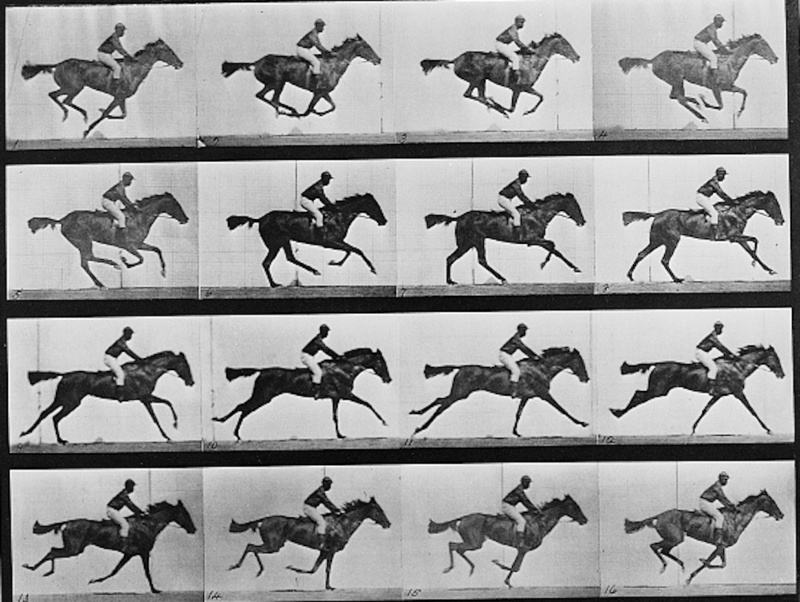 [Animal locomotion, 16 frames of racehorse “Annie G.” galloping], by Eadweard Muybridge, circa 1887. Image courtesy of Library of Congress. horses leave the ground at full gallop. a film of my own life unspool. How frantic are those snapping heads? their colts gunpowder before the race. will teach you the value of time. that colt who tests positive? I should destroy the chair. Jill Mceldowney is the author of the chapbooks Kisses Over Babylon (dancing girl press) and Paradise Woods (forthcoming). She is also a co-founder and editor for Madhouse Press. Her work can be found in Vinyl, Fugue, the Sonora Review, Timber, Whiskey Island, and elsewhere.